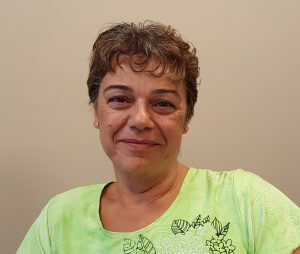 The “it” that Janice refers to is a new Safety Systems Audit Tool developed by SafeCare BC, and recently piloted at four organizations, representing both home care and support and long-term care. Once the audit tool is refined further, based on feedback from the pilot group, it will be available to SafeCare BC members, along with the supporting training. The tool can be used by organizations to perform a self-audit to help identify opportunities for health and safety improvement, but should only be employed when an organization has a basic safety program in place. The response to the audit at Evergreen Baptist was generally positive, with many expressing how good this was for the organization. Having strong buy-in from senior leaders was important. Janice’s advice for those considering an audit of your own is to make sure more than one person from the organization does the training, so it will be easier to implement the strategies and projects that are identified in your audit.